If you work for a company that offers a retirement plan as an employee benefit you most likely have what is known as a qualified retirement plan. The term qualified plan refers to retirement savings accounts described in Section 401(a) of the Internal Revenue Code. These qualified plans must meet specific IRS requirements for their setup and ongoing operations. 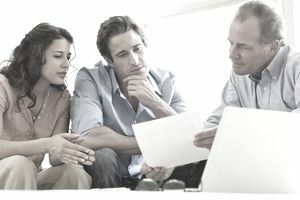 The types of qualified plans that you will likely hear about the most are profit sharing plans including 401(k) and 403(b) plans. Other common types of qualified plans include defined benefit plans and money purchase pension plans. In general, contributions to most qualified plans are not taxed until you start taking withdrawals from the plan. How Do Qualified Retirement Plans Benefit Employers/Plan Sponsors? Qualified plans provide significant tax benefits for businesses that are both large and small. One immediate benefit is that employers receive a tax break for the contributions they make on behalf of their employees. Businesses may receive special tax credits and other incentives for starting a qualified plan. Employer contributions are tax deductible. Other benefits include the fact that assets in the plan grow tax-free and employer contributions are tax-deductible. For small business owners, qualified plans allow you to make substantial investments in your own retirement. The benefits of a qualified plan are not limited to tax breaks. Qualified retirement plans also play an influential role in helping employers recruit and retain valuable employees. A qualified plan can be either a defined-benefit or defined-contribution plan. Defined-benefit plans pay a fixed benefit that is typically based on years of service and salary history. Traditional pension plans have declined in popularity recently but remain a good example of a defined-benefit plan. Defined-contribution plans depend on contributions and can be either a profit-sharing or money-purchase plan. For 2018, the maximum allowable contribution to a defined-contribution plan is the lesser of $55,000 ($61,000 if age 50+) or 100 percent of compensation. The maximum annual compensation of each employee that can be taken into account under a plan for any year must not exceed $275,000 for 2018 and is subject to cost-of-living adjustments in later years. How Do Qualified Retirement Plans Benefit Employees? Access to a qualified plan generally offers convenience, an immediate tax break, and potentially free money. A 401(k), 403(b) or similar plan might be the single most effective way to fund your dream retirement since these qualified plans provide an opportunity to generate substantial retirement income. Taxes on contributions are deferred until they are distributed. Another benefit to employees is the fact that contributions are simple and convenient to make through the ease of payroll deductions. If your employer matches contributions, the decision to participate should be an easy one. Consider those matching contributions to be a special bonus you will receive every single pay period. It is generally recommended that you try to contribute at least as much to your employer-sponsored retirement plan as you need to in order to get the maximum employer match. Your retirement contributions to a qualified plan will continue to grow sheltered from taxes until you withdraw funds. Distributions will be taxed at your income tax rate. Another benefit is you'll have several investment options to choose from and many qualified plans provide low-cost investments with access to professional investment advice and guidance. One additional benefit that many participants overlook is qualified plan assets are protected under ERISA from creditors. In 2018, you can contribute up to $18,500 to a 401(k) or 403(b) plan (plus an additional $6,000 "catch-up" contribution if you are age 50 or older). Since your contributions are made with pre-tax dollars, you could cut your final tax bill for the year by hundreds or thousands of dollars! To summarize, if you have the chance to save for retirement through a qualified retirement plan, take full advantage of this golden opportunity. It's truly a simple and convenient way to give your retirement dreams a healthy kickstart.